The late 1990s: Inspired by a host of classic Japanese titles, printer operating systems programmer, Daisuke Amaya, has a dorm-mate teach him how to code video games. The result – five years later – is Doukutsu Monogatari (a.k.a. Cave Story), a freeware arcade adventure in the 8-bit style featuring an idiosyncratic plot and a distinctive cast. A game that is still enjoying success eight years on. 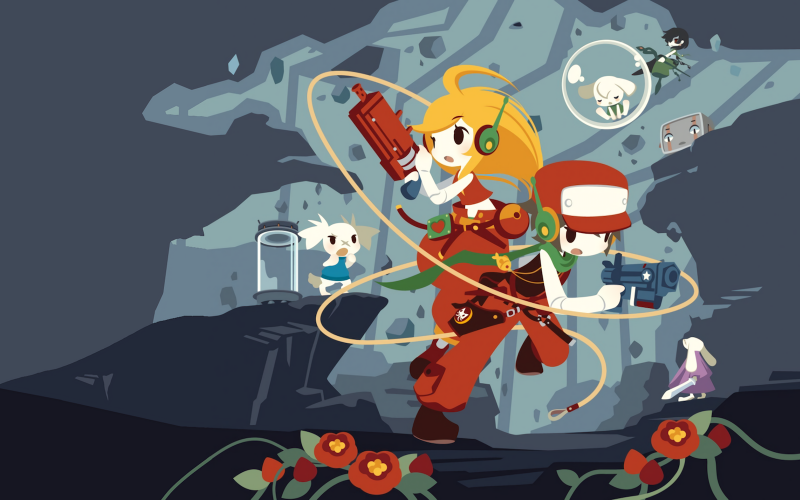 Leon, Darren Gargette and Josh recount their experiences with the game and consider what it is about Cave Story that creates such passion and loyalty within its fan-base. As usual you can also hear some music from the game and we read out your Three Word Reviews.